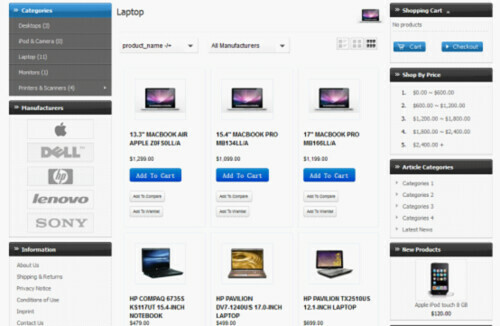 It is significant for the community users to install an elegant list/grid module for the product listing page. 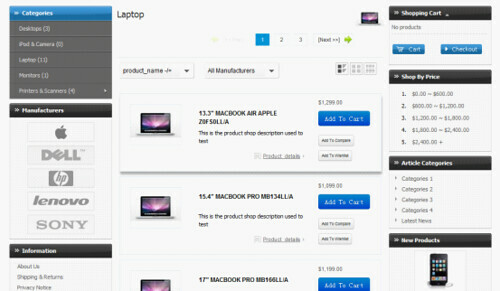 The great news is that you could get such kind of module from TomatoCart Extension Manager. Please download the module from here. 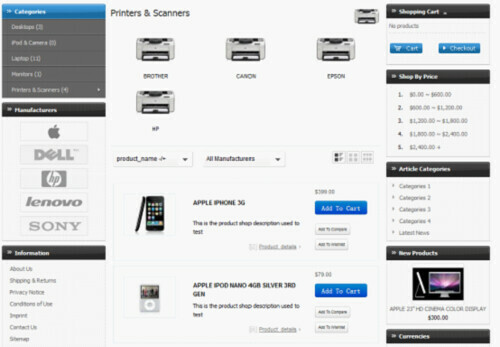 Decompress the listgrid.zip and copy the ‘templates’ directory into tomatocart web root directory on your web server. Please just override it. 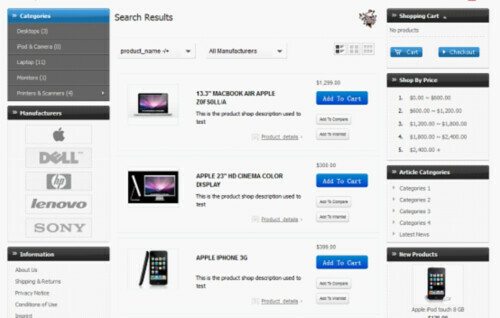 It will not impact the core system and other parts of the template except the product listing page and search results page because all the files are encapsulated as a module of the template. Decompress the listgrid.zip and copy the ‘content’ and ‘modules’ directories in the templates/glass_gray into tomatocart web root directory on your web server. Please just override it. 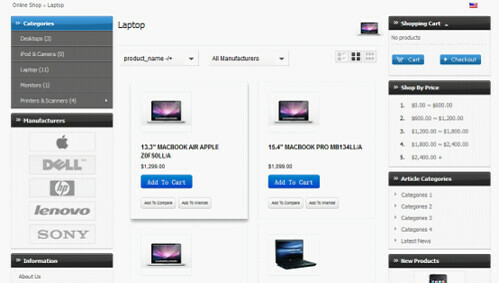 It will not impact the core system and other parts of the template except the product listing page and search results page because all the files are encapsulated as a module of the template. Note: This module haven’t been tested in the previous version such as 1.1.7, 1.1.6 and 1.1.5 etc. The TomatoCart core team will test it in these versions and do utmost to release a fit module for these previous versions. 1. Host, username and password to connect to your ftp account. 2. Url address, username and password to access your tomatocart admin panel. And, please describe the problem in the email. Once i receive the information, i will arrange time to have a look for you as soon as possible.